September’s pretty much here and gone – and we all know what that means… School is officially back in session. And with school comes supplies shopping, signing up for sports teams and dance clubs, and perhaps the most annoying of all: packing lunches. But there is no need to worry busy moms, this year you’ve got back up in the lunch category. We know how hard it can be to plan lunches day after day with everything else on your schedule, so we’re here to help. These 5 lunch bag items won’t be coming back home with the kids or ending up in a garbage can somewhere. 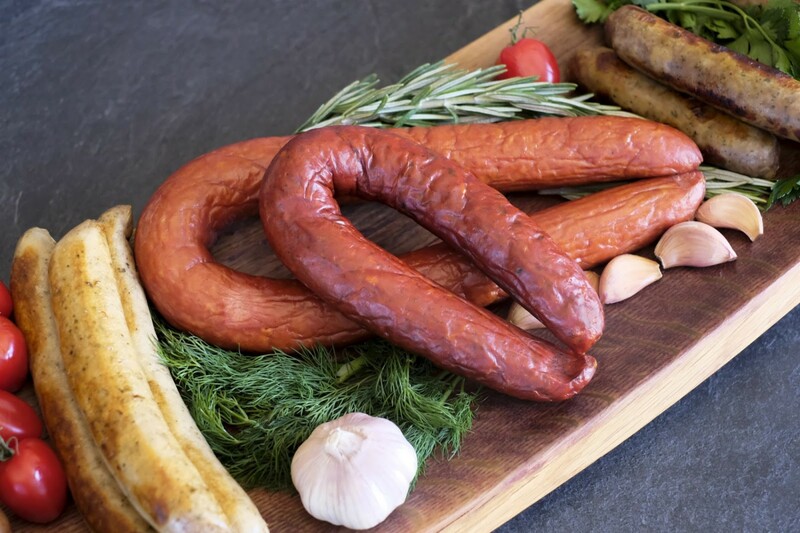 The taste of Mundare Sausage is infallible. There’s a good reason why they never last too long on anyone’s shelves! 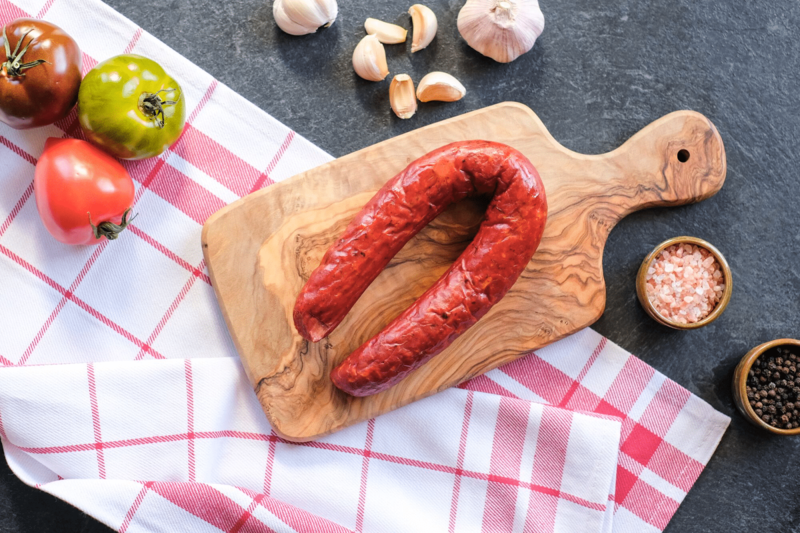 For an easy, delicious snack pick for your kids, slice the sausage up into a size that works for little fingers. Throw them into a plastic baggie alone, or paired with some cheese (cheddar and gouda cubes work amazingly). If you’re looking for a bit of a heftier sausage-based meal, grab some puff pastry from your grocery store. Slice the sausage into 2 inch pieces. Lay the pastry sheets down flat and cut into appropriate sizes to fold up the sausage into. Once they’re rolled into tiny bundles of pastry and sausage, prepare your egg mixture. Mix 1 egg with 1 tablespoon of milk and whisk well. Brush the top of your sausage pieces with the egg mixture and then place on a baking tray a couple inches apart with the seam down. Bake for 25-30 minutes or until the pastry is golden brown! The easiest way to eat a pepperoni is just as it is. No mess, no struggle, simple and delicious. To turn pepperoni sticks into something that will fill up the stomach a bit more, slice up a baguette into thin slices, add a thin layer of pizza sauce (or whatever flavour tomato paste is to your liking). Place a thin piece of your favourite cheese (kids usually like cheddar!) on the sauce and then top off the little pizza with a thin round of pepperoni stick. To keep the mini pizzas together, run a little toothpick through each one. This list wouldn’t be complete without the classic lunch go-to: the sandwich! Here’s a recipe to take your lunch sandwiches to the next level. 1) Preheat your oven to 400°F. Place a few slices of ciabatta or focaccia bread, cut side up, on a baking sheet. 2) Mix together your favourite pesto with some mayonnaise in a small bowl and then spread the mixture over the slices of bread. Place some slices of cheese (Havarti or Jack do well) on top of the bread as well and then bake until lightly toasted. 3) Top the cheese with your choice of Stawnichy deli meats like our smoked turkey breast, summer salami, or boneless ham. Add some sliced onion, tomatoes and arugula. Close your sandwich with another piece of toasted bread, and voila! A delicious lunch-time sandwich that’s filling and healthy. 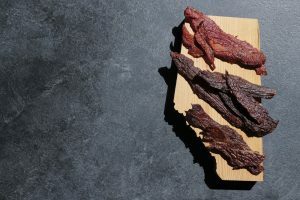 Jerky is an easy-to-pack, easy-to-store, easy-to-eat snack. Again, this one’s as simple to eat as is or to gnaw on over a recess break. If your children find the jerky texture too tough to deal with, try shredding or mincing it into smaller pieces. Or, better yet, purchase some delicious Jerky Shred from Stawnichy’s. This is smaller, bite size pieces of beef and pork for your convenience. PRO TIP: You can even add jerky as a flavourful protein source in any soup! Any Ukrainian can tell you that a well-made pierogi is to die for. Here at Stawnichy’s, we take special pride in making them just like Baba used to. Our potato and cheddar perogies, especially, are a crowd favourite. To make a batch of perogies for school lunches, start by boiling a large pot of salted water. When at full boil, carefully place just enough frozen perogies in the pot (lower them with a spoon). Let the water come to a gentle boil again and then turn down the heat to a low simmer. Cook them at this temperature for about 10 minutes. Then, remove each pierogi individually and let them sit on a plate with a bit of oil so they don’t stick together. Chop up some onions and sausage (use Mundare sausage for the best taste) and throw them onto a pan to sauté until the onions are caramelized. Transfer the onion/sausage mix into a bowl and add the perogies to the bits of flavour remaining on the pan. Let them cook until they’re slightly crispy. 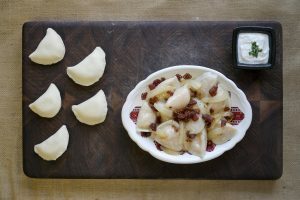 In the lunch box, pair the fried perogies with sour cream, onion and sausage but put them all together on the morning of. That way, the perogies won’t get soggy by lunch time! With back to school, also comes “back to the fundraisers” for the umpteen teams and clubs your children are a part of – and what a hassle it can be! This year, why don’t you simplify the fundraising process by partnering with Stawnichy’s? Step One: Set a goal amount. Step Two: Engage your fundraising team (read here for 5 tips on how to build a great team). Step Three: Let Stawnichy’s lead the way! They’ve got the experience and process down pat for running a winning fundraiser. Download Stawnichy’s Fundraising Guide to learn how to set goals, build a network of supporters, and promote your event.